This “little ballade” is the first of 6 easy fantaisies published as Op. 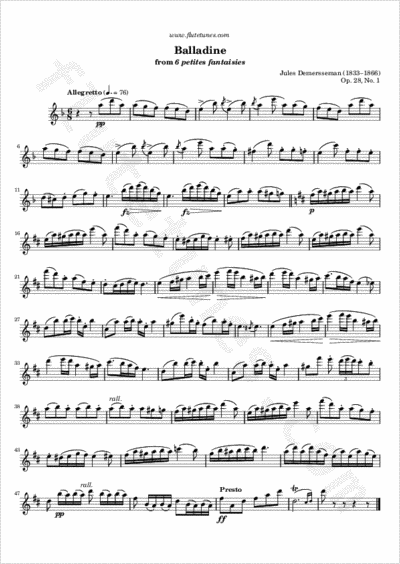 28 by French Romantic flutist Jules Demersseman. The piece features a rather plaintive introduction in D minor, but after 14 measures it shifts to D major, and stays in that key till the end.